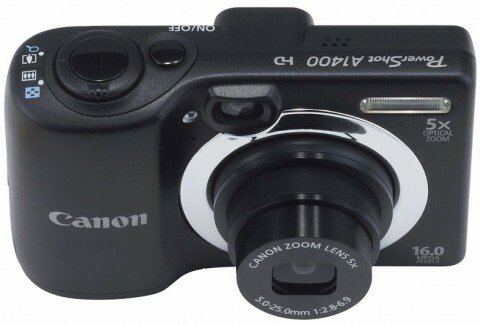 The Canon PowerShot A1400 is a compact, easy-to-use point-and-shoot camera that features a 28mm wide-angle lens with 5x optical zoom and, unlike the majority of affordable-priced cameras, has an optical viewfinder. The 1400 also features a 16 MP CCD sensor and the DIGIC 4 Image Processor which provides clear high resolution images and HD 720p video. 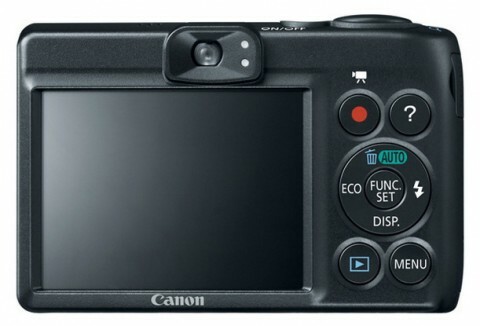 The Canon A1400 features a 2.7″ LCD screen and ECO mode, that conserves the batteries by dimming down the LCD when not in use. The camera is equipped with Scene Modes, which offer image control and add an artistic look to photos. 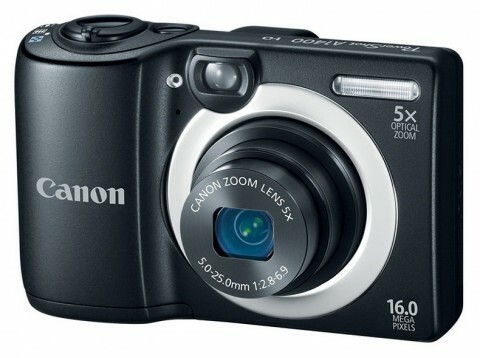 The Canon A1400 is powered by two AA batteries.